Whether you’re looking to clean up your diet, kick-start your gym routine, or completely overhaul your daily wellness, simply beginning can feel overwhelming. Our best advice? Start small and start today! We love how easy it is to add these seven snacks and supplements to the daily grind to help us stay on track with our goals. Need some extra help with advanced weight management goals? Try the Slique® in 60 pledge! Our Slique weight management programs help you slim down the natural way! 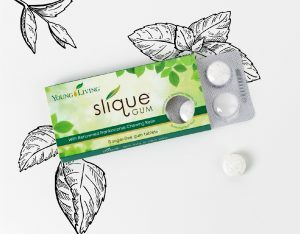 * With four options—Slique Maintain, Slique Complete, Slique Advanced, and Slique Assist—you’ll be able to find the best weight management pack to fit into your lifestyle and goals. They’re filled with health supplements and nutritious snacks—including gluten-free bars—that will get you on track for a healthier you. * Read up on them below! Why we love it: When your day is filled with errands, meetings, and other to-dos, meal replacement shakes help you keep a healthy, nutrient-rich diet and avoid the temptation of fast food or office treats. Our Slique Shake has pea and pumpkin seed protein, quinoa, and other wholesome ingredients that make it a great source of protein and dietary fiber. 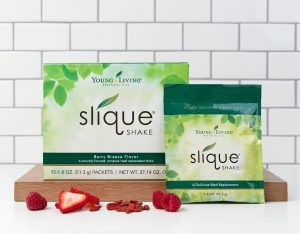 Make it yours: Blend Slique Shake with almond milk and frozen fruit for a quick and easy breakfast that keeps you fuller, longer. Why we love it: Want a tasty treat you can grab on the go without sabotaging your daily goals? 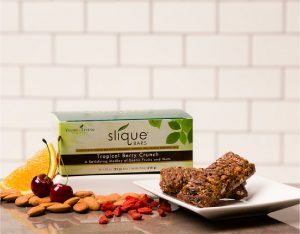 Slique Bars are filled with wholesome ingredients, such as dates, coconut, almonds, chia seeds, bing cherries, and just the right amount of cacao nibs. Plus, these gluten-free snack bars are high in fiber to help you feel full without excess calories. Make it yours: Keep Slique Bars in your office desk, car, gym bag, or purse for a high-fiber snack when hunger cravings hit and you can’t make a nutritious meal. 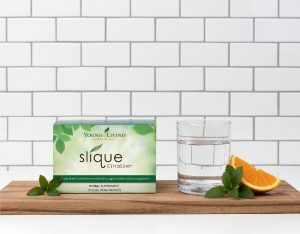 Why we love it: Slique CitraSlim uses a proprietary citrus extract blend that studies show may help the body burn excess fat and release free fatty acids when combined with a healthy weight-management plan. * Plus, this blend contains flavonoids that have powerful antioxidants! Make it yours: Keep NingXia Red singles in your purse, car, or gym bag to curb your sweet tooth on the go. Why we love it: Treat yourself to an indulgent treat without the guilt! 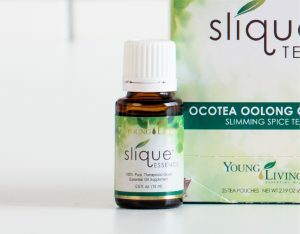 Skip frosted frappes and creamed coffees and instead sip on Slique Tea, made with wholesome ingredients, including Ocotea, Frankincense powder, and Ecuadorian cacao powder. 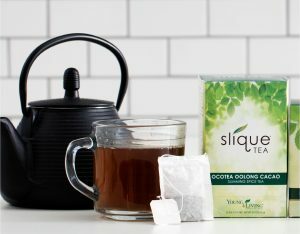 Make it yours: Slip into the day by warming up with a cup of hot Slique Tea. Add an extra splash of flavor with a drop of Lemon Vitality™ or steeped NingXia Dried Organic Wolfberries. Why we love it: Ancient travelers in the Middle East chewed frankincense resin as a way to stave off hunger, and this oil-infused gum works the same way! Resist mindless snacking with this on-the-go option you can keep in your purse. Make it yours: Add a drop of Peppermint Vitality™ for a burst of flavor and freshness, or use it in place of a mid-day snack when your afternoon sugar craving hits! Why we love it: Hydration is an essential part of your weight-management goals, but that doesn’t mean you can’t have fun with your drinks! Enhance your water with this citrus-mint flavor booster. It even includes stevia extract to satisfy your sweet tooth without adding calories. Make it yours: Add a few drops to chilled water for a refreshing boost before or after your morning workout. *These statements have not been evaluated by the Food and Drug Administration. The product is not intended to diagnose, treat, cure, or prevent disease. Consult with your health care provider prior to beginning any weight management program, if you are taking medications, or if you have any health concerns. PreviousThe Results Are In: See How Slique CitraSlim Measures Up! NextJoint health supplements: What should you look for?